Hello everyone, we’ve got a new tour filling up for Aug. 1-31, 2016: Saris and a Single Malt by Sweta Srivastava Vikram published by Modern History Press in August. Wet Silence by Sweta Srivastava Vikram is on tour from Aug. 21-Sept. 18 with Poetic Book Tours. Please find the schedule here. Wet Silence bears moving accounts of Hindu widows in India. The book raises concern about the treatment of widowed women by society; lends their stories a voice; shares their unheard tales about marriage; reveals the heavy hand of patriarchy; and, addresses the lack of companionship and sensuality in their lives. It’s a collection of poems that covers a myriad of subjects centered on social evils such as misogyny, infidelity, gender inequality, and celibacy amongst other things. The poems in the collection are bold, unapologetic, and visceral. The collection will haunt you. Click on the cover to buy on Amazon. Hello everyone, we’ve got a new tour filling up for Aug. 21-Sept. 18: Wet Silence by Sweta Srivastava Vikram, a poetry collection of moving accounts of Hindu widows in India published by Modern History Press in August 2015. “Nothing short of sacred genius, Wet Silence reads with a sensual and dangerous grace. It is a body of work that ushers presence into absence and love into a world that has all but done away with the word.” – Slash Coleman, author of The Bohemian Love Diaries and perspectives blogger for Psychology Today. 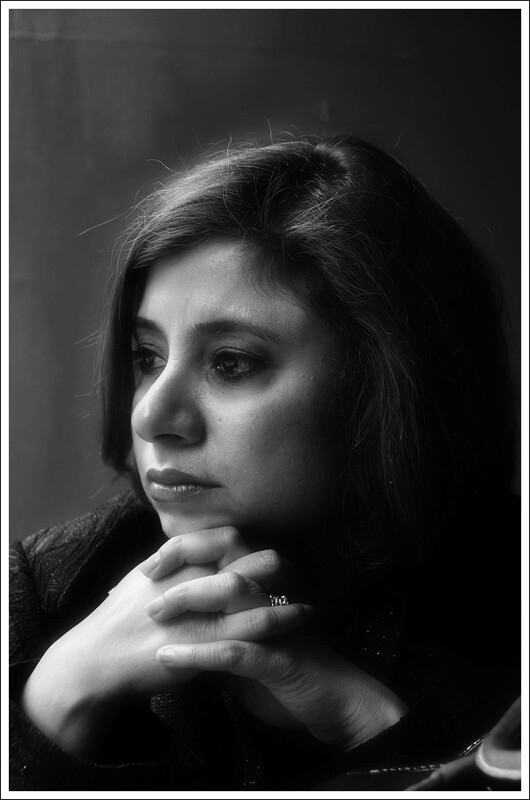 “Sweta’s poems did a powerful job at highlighting the mental and sexual abuse, violence, loneliness and the pain experienced by millions of widows in India. Wet Silence reminded me of how hollow our traditions are which make widows as young as 15 years old feel like a forgotten flower, burn their wishes and discards them from the society like toxic waste. Why I ask, is being a widow a crime?” – Shruti Kapoor, Founder of Sayfty, an organization that helps women protect themselves against violence, and winner of Rex Karamveer Award & Global Fellowship. “In a gorgeous choir of reclaimed voices, Sweta Srivastava Vikram tells the stories of women forgotten and passed over, women silenced and without choices, women who ‘don’t exist’—Hindu widows. They leave kisses wrapped in turmeric and sandalwood, or inside urns in white sheets. They fear or dream of the pyre, a burning that annihilates the early flames of passion. Their heads are shaved, and their bangles are shattered. Through this vibrant imagery—through the magical breath of her poetry—Vikram not only animates these women’s hopes, sorrows, dreams, and defeats, she lovingly restores them to honor.” – Melissa Studdard, award-winning author of I Ate the Cosmos for Breakfast. Sweta Srivastava Vikram, featured by Asian Fusion as “One of the most influential Asians of our time,” is an award-winning writer, three times Pushcart Prize nominee, Amazon bestselling author of nine books, novelist, poet, essayist, and columnist who currently lives in New York City with her husband. Her work has appeared in several anthologies, literary journals, and online publications across nine countries in three continents. A graduate of Columbia University, Sweta reads her work, teaches creative writing workshops, and gives talks at universities and schools across the globe. Exclusive video reading by Sweta Srivastava Vikram.